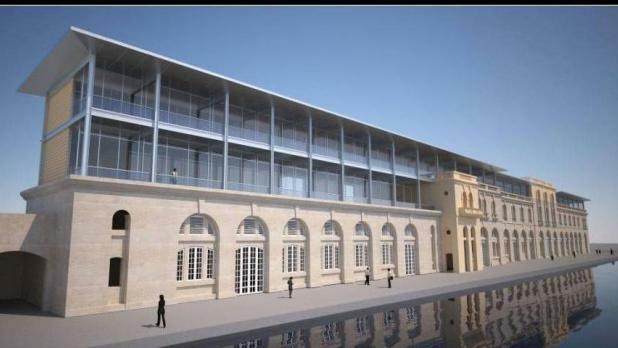 An impression of how the Cospicua campus will look like. The American University of Malta is expected to recruit its first students in August of next year, now that it has received a five-year operating licence. The licence was issued to Sadeen Education Investment after it agreed to the licence conditions set by the National Commission for Further and Higher Education. The five-year term is part of the legal process to ensure the university lives up to its conditions before receiving another five-year extension, according to commission CEO Edel Cassar. “The five-year period is dictated by law and, in Sadeen’s case, the conditions for external audits are more rigorous than the minimum requested at law,” she said. In June, the commission offered Sadeen a university licence with several educational and financial conditions attached. For months, Sadeen said it was studying the conditions and, at one point, indicated it wanted to seek a compromise. The commission, however, made it clear the conditions were non-negotiable. Just two weeks ago, the commission confirmed to this newspaper no licence had yet been issued to Sadeen. Over last weekend, John Ryder, the provost (rector) of the American University of Malta, confirmed with TVM that the company had accepted all the conditions. He told TVM the university would embark on a recruitment drive in the coming months and expected to enrol its first students in August next year. In a statement, the commission confirmed that the investors had recently asked for “some clarifications” about the conditions, which were, however, accepted. This led the company to formally receive the university licence. As part of the agreement with the commission, the AUM will be audited every year by Clemson University of South Carolina. The commission will also be conducting spot checks on a regular basis, aswell as carrying out its own externalquality audits to ensure academic, administrative and service operations are up to scratch. Part of AUM’s campus will be located at Dock One in Cospicua, where renovation works have started, and the other at Żonqor Point in Marsascala. The Żonqor site was mired in controversy since the original idea was to build the university on 90,000 square metres of land in an outside development zone. The area was scaled down to half the size when Cospicua entered the picture, but the Żonqor campus will still use up 18,000 square metres of ODZ land. Last month, the company received a planning permit for the construction of an additional floor at Cospicua, and Prof. Ryder said applications for the Marsascala site would be submitted soon. The government yesterday welcomed the development, describing it as a new chapter in the country’s history. It said AUM would attract 4,000 students and lead to an increase of €48 million in economic growth that would rise to €85 million. The government said the project would serve as a boost to the economic well-being and quality of life of the south.